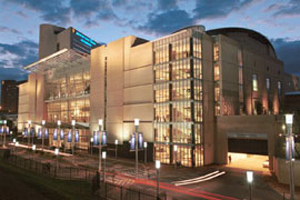 The Durban ICC is looking to attract an increasing number of international conferences. Chief executive of the Durban ICC, Julie-May Ellingson, who was recently appointed to the role after serving in an acting capacity since April 2011, said that there are plans to position Durban and ICC as one of the world’s premier long-haul international conferencing destinations. Ellingson joins the ICC from the eThekwini Municipality’s Strategic Projects Unit, which she headed since its establishment in 2005. As head of the Strategic Projects Unit, Ellingson was responsible for driving Durban’s 2010 and beyond strategy and delivering on the city’s 2010 FIFA World Cup responsibilities. Ellingson said her vision for the ICC is for it to be the best convention centre in Africa and a place for knowledge sharing through which new jobs can be created locally, provincially and nationally.